a set of files to make it easy to assemble small ESP8266 projects. 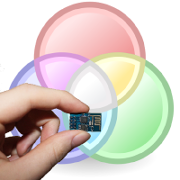 Small IoT projects with wifi are the natural fit for ESP8266. E Suite comes with a comprehensive set of over 20 drop-in "library" files extending the inbuilt NodeMCU functions. These are crafted to be minimal memory footprint. - Oled display? Servomotors? Pitch and roll from your accelerometer? Yes. - Deepsleep 12 hours with one line of code? Easy. - Want to communicate with Telnet, a WebBrowser, Thingspeak or MQTT? Covered. - Simply extend your GPIOs with more hardware digital or analog pins? Included. - And an enhanced stable version of Blezek's lua Blynk library. Blynk with ESP8266 is a winner. - All along with dozens of example "project" files, to see how easy it can be. 1. The standard start/wifi/time environment is provided ready-to-go. 2. Library files for many devices and scenarios are at hand with maybe one or two lines. 3. Your "project" is likely reduced to a small file concentrating on just the kernel of what you are trying to achieve. - Wed Jan 10, 2018 1:52 pm #73047 Great work!! Very clever approach, really useful! - Sun Apr 15, 2018 6:22 am #75389 Really Awesome..